The EasyTrack glide rail system allows these blinds to be raised and lowered effortlessly with no side gaps. The track sits flush in the awning eliminating drafts and light. They look sleek and stylish because you don’t see straps, ropes or buckles, because this sleek system does not use them. They are ideal for that perfect finish to your outdoor entertaining area. 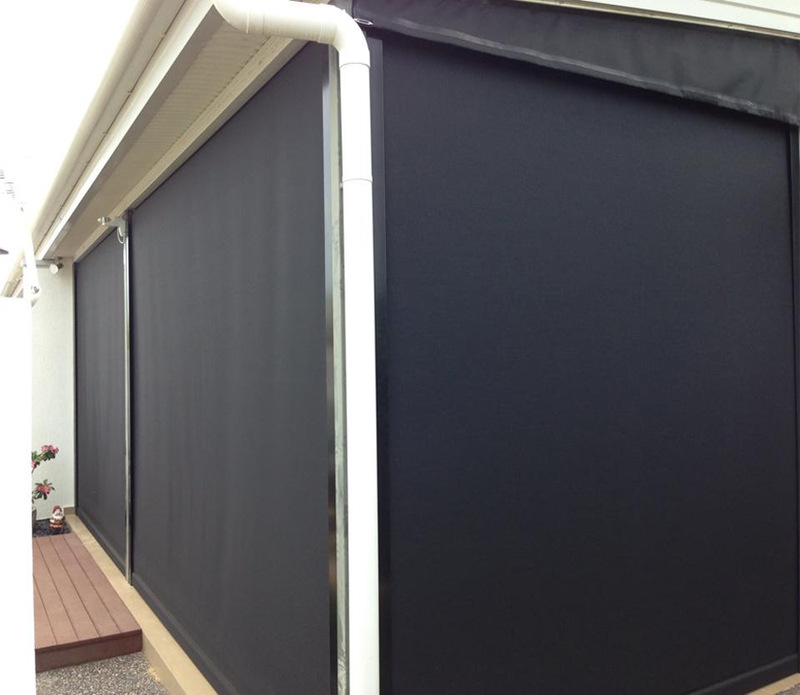 Choose from clear or tinted PVC, the ever popular mesh and a fantastic range of fabrics, all designed for Australian conditions. You can even choose optional motorised or remote control for ultra-easy operation.